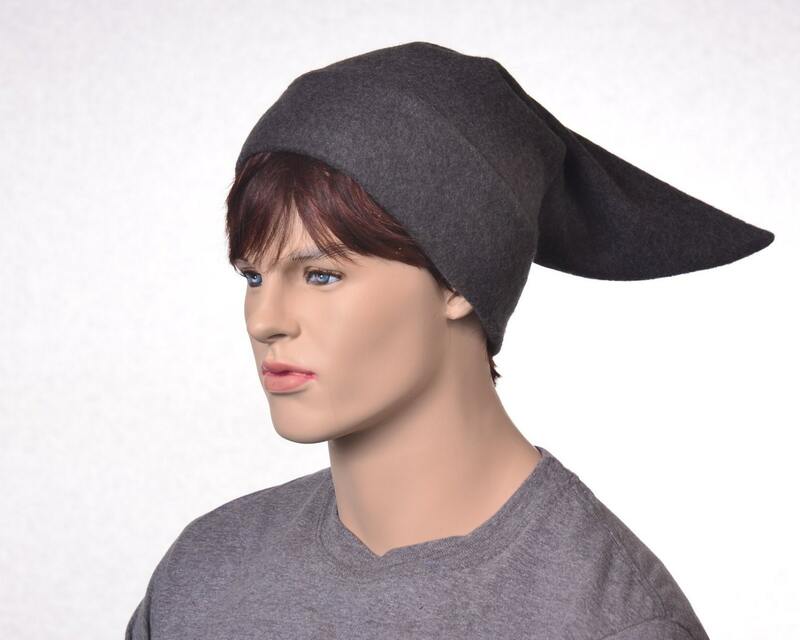 Elf hat made in charcoal gray. 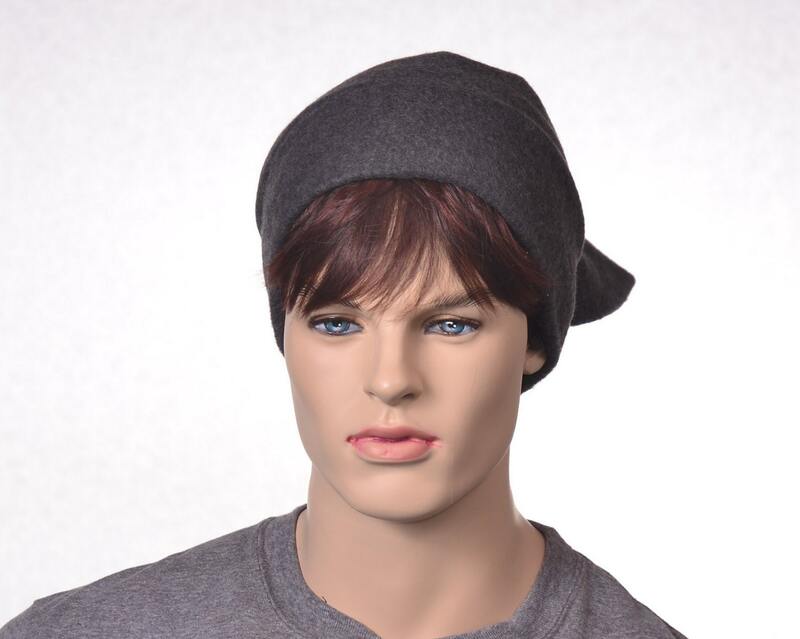 This is a short pointed stocking cap style. 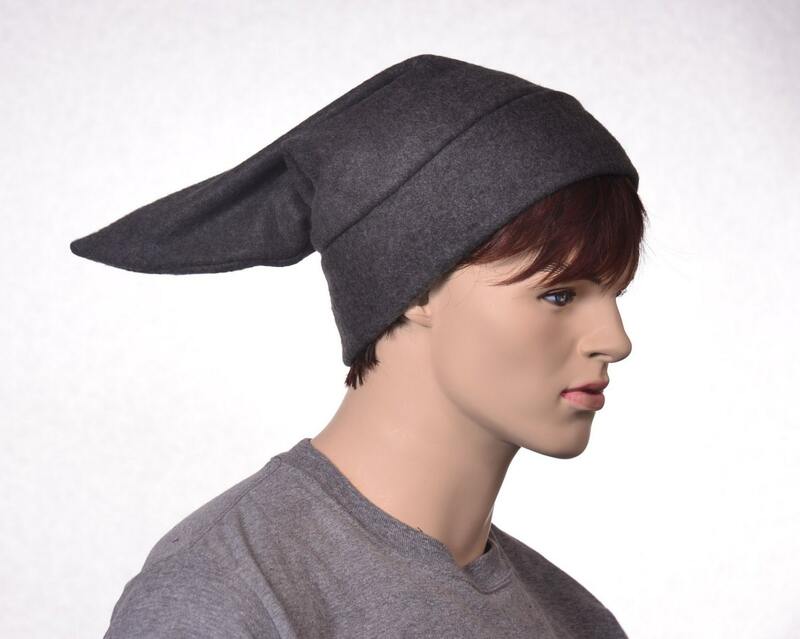 Made of soft fleece. Measures about 18 inches long. 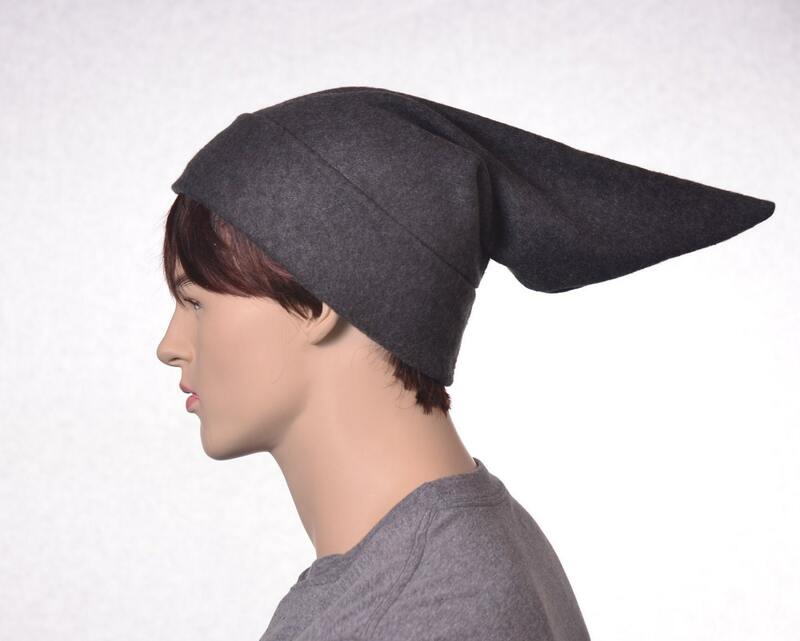 Great for everyday wear or as a costume piece. Double thick headband. 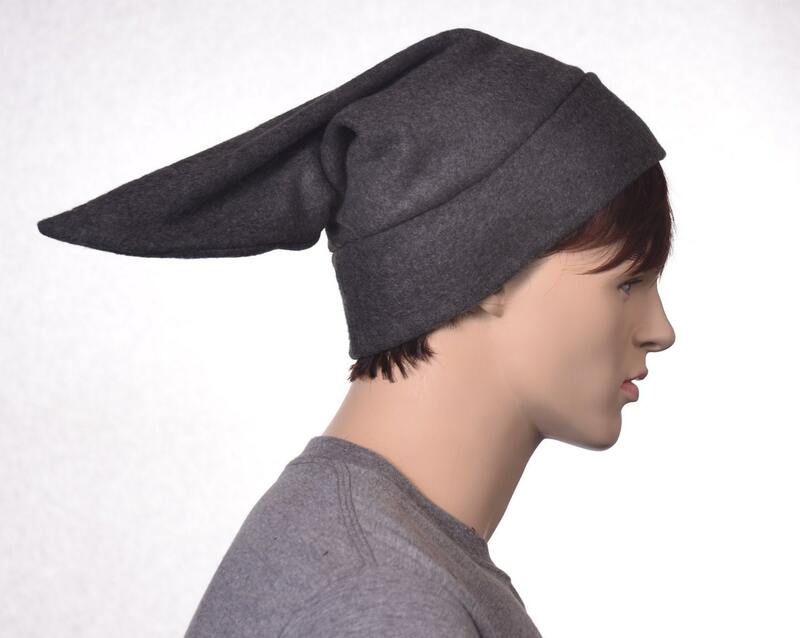 One size fits most heads measuring 22-24 inches can be made larger or smaller on request.